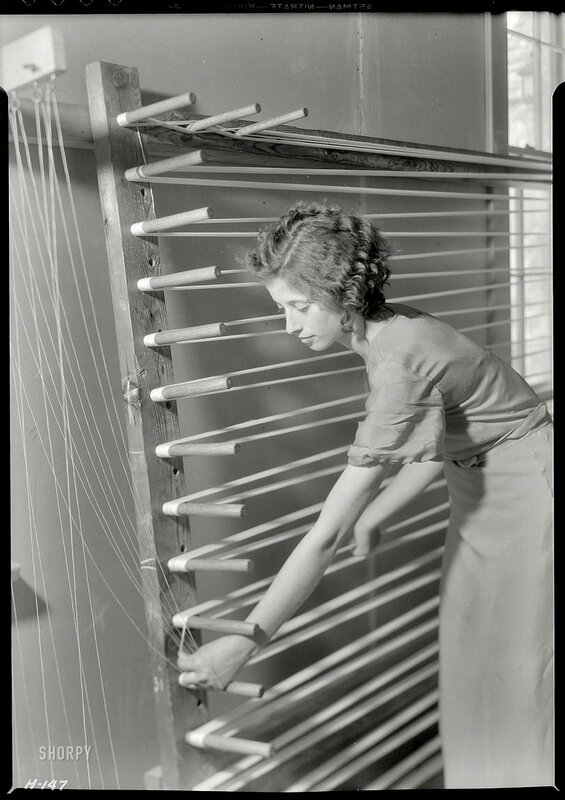 Beulah Ogle warping a loom, 1933, by Lewis Hine, via Shorpy. Oh how I love this one! Great find! !